Chettinad is famous for its unique variety of dishes prepared. They are not just tasty, but too easy to cook. There are a few chettinad snack varieties that need expertise in cooking, but there are a few that can be done by anyone. 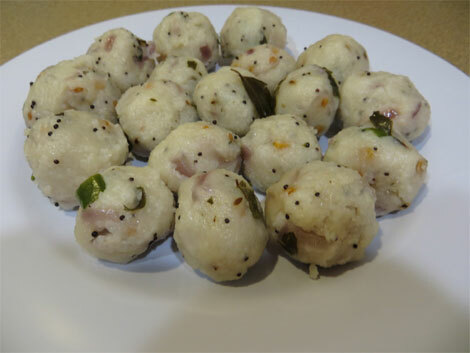 Here is one such recipe that has been in Chettinad tradition for years. As it gets fried well, take out from the oil and drain out the extra oil content. Make sure that the Paniyaram is neither too thick nor too thin. While making the paniyaram, you cannot do two or more at a time. Just one paniyaram can be fried at a time. Give enough time to cook either sides of the paniyaram. The end result must be in white color and should not have turned into brown. Also, the batter can be used for later as well. Importantly, note that you get high quality Urad dal for the dish as it will give you the softness and good taste. Also remember that the paniyaram may turn rubbery and too thin when the necessary quantity of urad dal is not added to the dish. Say in case you have added excessive amount of milk for mixing and the batter has got too thin, you may compensate by adding a little amount of rice flour.